Alex gave a presentation at the Chemistry Education Seminar. 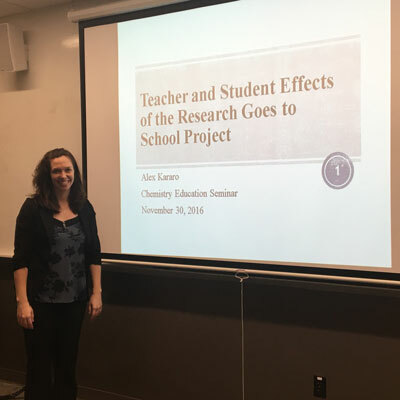 Her talk was titled Teacher and Student Effects of the Research Goes to School Project. 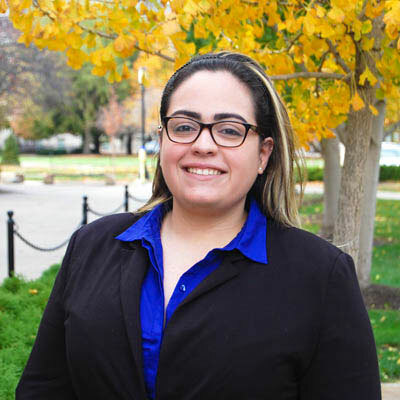 The ‘Research Goes to School (RGS) project’ sought to bring nanoscience content into the classroom through a summer professional development workshop where nanoscience and project-based learning (PBL) were taught to high school STEM teachers from around Indiana. The teachers developed PBL units based on the nanoscience content and the goal of her work is to study the relationship between PCK, teacher practice and student learning.